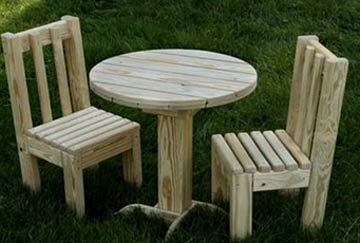 • Made in the U.S. with quality treated pine. • Amish craftsmanship you can trust. • Superior structural strength built in. We are committed to creating sturdy, long-lasting play structures. 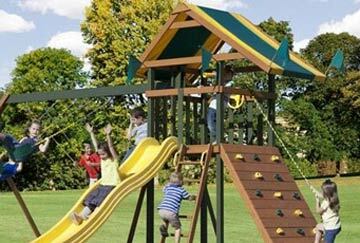 As a family-owned business, we understand the wants and needs that go along with a family playset. Our structurally sound playsets are made from only the best Southern Yellow Pine that is milled and rounded to prevent splintering and sharp edges. Champ Craft play structures are versatile playsets -- they can be changed and added to with accessories to suit the needs of your family -- plus, they’re easy to install and come with clear, concise instructions. 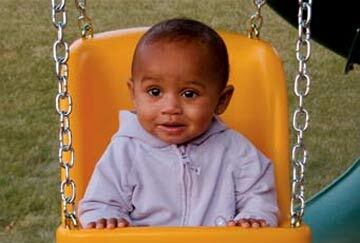 We offer free shipping on all residential swing sets within the 48 contiguous states.